It's very sad to hear of the death of Michael Pickwoad, production designer on Doctor Who between 2010 and 2017. What follows is one half of an interview with him, as submitted. A tidied up version was published in Doctor Who Magazine #476 in July 2014. “I don't think I watched it,” admits Doctor Who's current production designer, Michael Pickwoad. His father, the character actor William Mervyn, played Sir Charles Summer in three of the four episodes of the The War Machines alongside the First Doctor. But Michael, aged 21 and on a civil engineering degree at Southampton University, had more pressing concerns at the time. On the CFF production Chimp Mates (1976), Michael worked with his father. “The only time we did! It was about a family looking after a chimpanzee, and he played the vicar in a church where it runs amok.” For another CFF film, A Hitch in Time (1978), Michael had to design and build a time machine to be operated by a former Doctor Who. In 1980, Michael was art director on the fantasy film Hawk the Slayer, and that led directly to him working on a small-scale film about two out-of-work actors at the end of the 1960s. In the 1990s and 2000s, Michael’s work was dominated by films and TV set in the past, requiring him to establish a setting quickly and economically. His credits include the true-life crime film Let Him Have It (1991, and starring future Ninth Doctor Christopher Eccleston in his first major role). There were adaptations of books by Charles Dickens and Agatha Christie, and biographies of Princess Margaret and Lord Longford. Michael had some experience of science-fiction before he worked on Doctor Who – as well as the time machines discussed earlier, he was production designer on the 2009 remake of The Prisoner. Yet it was a complete surprise when, in 2010, producer Sanne Wohlenberg asked him in to discuss the Doctor Who Christmas special, A Christmas Carol. But DWM notes that in that previous interview he spoke of designing “what people thought a ship was like”. Does that mean it's not what a ship is really like? Has he been misinforming us? He laughs. That applied when Michael redesigned the TARDIS in 2012 – the set had to be familiar but completely new. For The Day of the Doctor (2013), Michael had to supply four different TARDIS interiors for four different Doctors. Michael counts them off on his fingers. “Matt's one we obviously had. The David Tennant one, that was easy.” Those scenes were filmed on the version of the set displayed at the Doctor Who Exhibition – a short walk from the BBC Roath Lock studios where Doctor Who is produced. In the same story we got a peek at the Under Gallery, where art deemed too dangerous for public consumption is kept – which allowed Michael some fun. At one point, we see the Doctor dash past a huge painting of figures on a churning sea. It's Gericault's The Raft of the Medusa – except the drowning sailors are Cybermen. Are there lots of things like this – details Michael knows are in the episodes that no one else ever spots? DWM wants to understand the way that Michael works, and the process from his receiving a script to the set being ready for the actors. He opens a bulging A4 binder filled with pencil sketches: his work on 2013 Christmas special, The Time of the Doctor. DWM is stunned. And so only realises later that this bold, generous act is just typical of how Michael works: there was a problem, but he had a clever, straight-forward solution. Michael might not have watched his father's appearance in Doctor Who when it was transmitted, but his own children take particular interest in the show. His daughter Amy works with him in the art department. 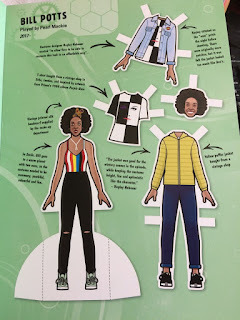 DWM points out that the Pickwoads are the first family ever to have three generations work on the show – if you don't include the Davison-Tennants in last year's online comic short, The Five(ish) Doctors. “I know,” says Michael, proudly. 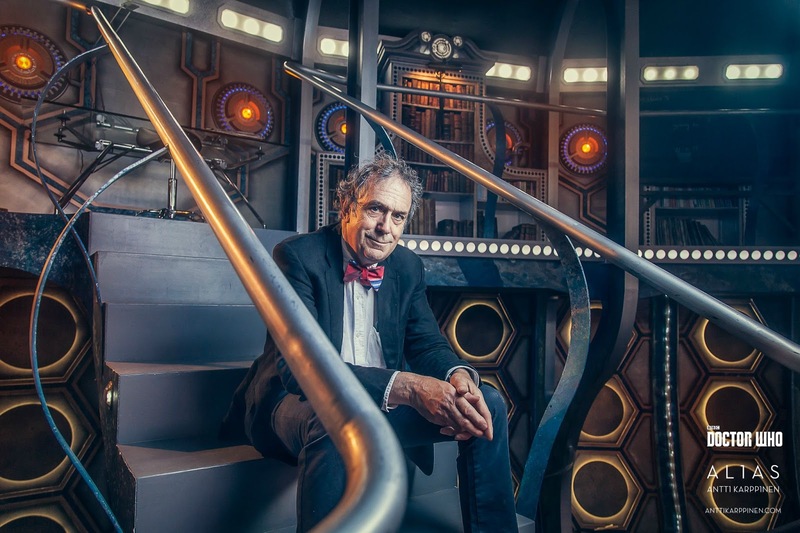 In November last year, BBC News interviewed Michael Pickwoad about the new TARDIS interior. “It's a bit like a high-tech pumpkin”, he told them, before explaining why, in detail.